Of Sound Mind and Spirit: Why Am I Here? Become the-Best-Version-of-Yourself! 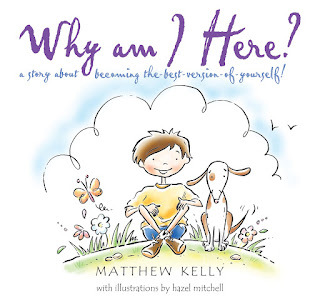 World-renowned author Matthew Kelly has been showing adults for years how to become the Best Version of Yourself in his more than a dozen books. Now he spreads his passionate message to children in his first ever Children’s book. From that answer, Mr. Kelly uses the relationship between Max and his grandfather to lay out many easy to understand examples of how Max can choose to be the best version of himself. Max shares his new knowledge with his other family members, teacher and friends. The journey of Max and friends becoming the- best –version- of- themselves attempts to awaken self-awareness in the reader of our own choices and decisions.